I've really been blessed to take some wonderful trips - both here in the great USA and abroad. California. One such trip was with the Astro Booster Club back in the days of Mike Scott, Billy Doran, Kevin Bass, Jose Cruse and yes, even Milo. Washington State, Chicago, Detroit, Syracuse and NY City, Santa Fe, Las Vegas, Colorado, Louisiana, Oklahoma, the Carolinas and Florida. Cruises to the Caribbean - St Thomas, Puerto Rico, and the Bahamas. Deep sea fishing in Cabo San Lucas and also in the Keys. Cancun, Merida, Matzalan and Puerto Viarta. I was privileged to actually stay in the home of a Baptist Sense' (Preacher) in Tokyo. Sense' means teacher or wise one. After participating in a revival for a week, I then joined a friend and her Japanese friends and went deep into Japan where there were no other Americans. We slept on the floor, ate on the floor, bathed in little aluminum tubs and even sat on heated toilet seats. There were 3 bus loads of Tallowood Choir members and spouses. We sang in magnificent cathedrals and quaint little missions. We saw sights that remain embedded in our memories. We had a fun trip to the Netherlands. I climbed up into a windmill and sampled wonderful cheeses while walking in bright red wooden shoes. We anxiously walked through the gate at Auschwitz which read "Work Will Set You Free." And we left in total quietness as we thought on the horrors the prisoners endured. Choir trip. Singing and sightseeing, Museums, Flamingo dancers and the bull run, and a little shopping for LLadro figurines. Paris, France - Totally saturated in tourist delights from museums to outdoor cafes and the Moulin Rouge. A tour of the Capitals of the United States: Washington D.C. where we sang in the National Cathedral. Philadelphia and New York City where we enjoyed a game at Yankee Stadium. I now look forward to seeing more of Florida with my new husband, Earnest and traveling with him. This summer will take us to Tenn for his class reunion and a visit with his family and then over to Dollywood. After that, who knows. Obviously I'll be flying "home" pretty often to see that little grandson of mine. We are looking forward to the reunion. See you then. 09/29/08 Charlotte sent an e-mail with a very exciting announcement (from the internet) about her grandson, Austin. Said she, “Today, I am about the proudest Grandmother. 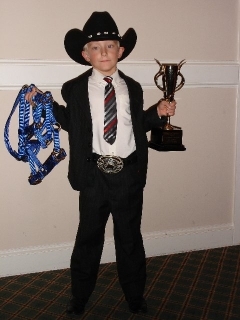 My little Austin won World Champion this weekend in Ft Worth showing his miniature horse. We are soooo tickled." She further reported that "Austin won GRAND CHAMPION of our REGION last year, and this new title pretty much assures him of the same award this year. Austin started showing when he was 4. And he has won every local show for the last 2 years. He's a pretty phenomenal kid, if I do say so myself. Yes, I am a very proud Grandmother!" I look back on my life somewhat comically. I never really “settled” in any one vocation. As a young mother, I worked part-time at conventions handing out samples, greeting people, and doing product demonstrations. I even worked for a magician and was the girl cut in half. For the life of me, I don’t have any clue as to how that tied into a product. 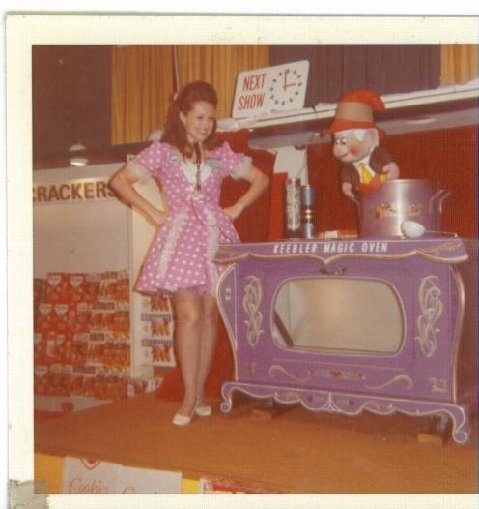 My favorite skit was with the Keebler Elf at a Retail Grocery convention. My boys loved it because I brought home a grocery cart full of Keebler cookies. I met my first husband, George Faulkner at Garner State Park and we were married for eleven years. It’s funny that what ended bitterly has since become a meaningful friendship. When George retired, he and his lovely wife Jan moved to Leakey where he grew up, just down the road from Garner. I try to visit every chance I can and thoroughly enjoy being pampered by both George and Jan.
We had three sons, Kevin, Kipp and Kyle. Kevin has never married and is living just over the “mountain” from Leakey in Campwood. Kipp lives in Houston and has a 22 year old son, Christopher. 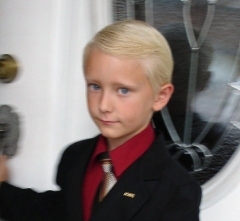 Our youngest, Kyle was tragically killed in 2005 and leaves a son, Austin, who is now 7 years old. 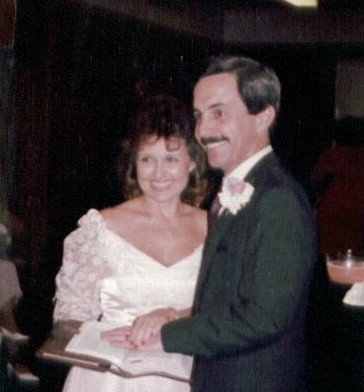 After George and I divorced, I got my real estate license and subsequently became a Broker. I worked some in the real estate industry, but then started selling new homes. I hated working on Sundays, so gave it up and went to work in the mortgage industry in the REO (real estate owned) department. In 1985, the week after our 25th class reunion, I married the love of my life, Bob Casselberry. He was a profound human being and servant of God. After a lifetime of heart disease, he received a new heart in 1992, which brought such incredible blessings into our lives. I lost him in 1994, but will ever be grateful for the years that I had with him and the ways he blessed my life. After losing Bob, I worked part-time until I accepted a position with Racal, an offshore survey and equipment company, where I worked until I took early retirement in 2002. Then wanting something to do, I went back into real estate for several years. When my life was turned upside down with the loss of my son and my mother shortly after, I went into a deep, dark depression. Unable to function in my job, I quit. My dearest friend, Gladys (Payne) Bohac was there to cry with me, listen to me, encourage me and help me find my way back into the light. We talk almost every day and enjoy traveling together and working on crafts. God in His mysterious way, has always had His hand on my life. And once again, He turned something not so good into something really nice. When earlier this year I decided to go back to work, I called my former boss from Racal to see if I could use him as a reference. Instead, he suggested that I come to work for him at his company, Equipment and Technical Services. So I’m back working full time again and loving it. I have a beautiful “Baby” sister who was a huge surprise, arriving after I had my first son. Mother said she had the longest run in PTA in history, 24 years; and that she raised two “only” children. Marla and her husband live in Midland, Michigan. 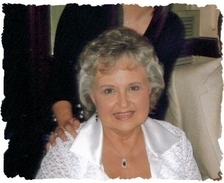 She teaches gifted children and writes children’s books. Her husband is a PR exec with Dow. 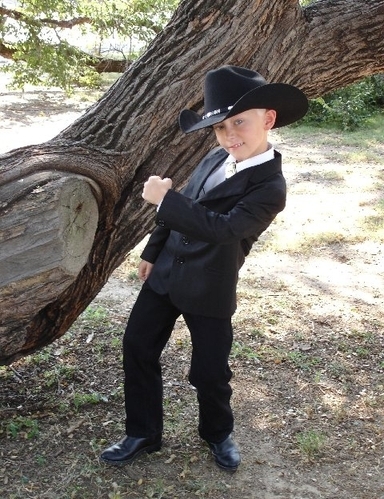 And then there is Austin, my little cowboy. Austin is a miniature of his dad and brings so much joy into my life. He lives in Needville with his maternal grandparents, but comes to stay with me every other weekend. Austin has been showing miniature horses since he was 4 and consistently brings home blue ribbons. He says that when it comes to showing horses, “he puts on his game face.” This photo (below) was taken at the American Miniature Horse Association World Championship competition this past weekend (09/29/07) in Fort Worth. He placed 4th. We are so proud of him. I have been a member of Tallowood Baptist Church in Houston for almost 30 years and have served with Single Adults, Preschoolers to Senior Adults, Missions and the Adult Choir. I have been blessed with good friends and good health. I claim Jeremiah 29:11 every day and trust in God’s promise for His plans for my life and the very best yet to come. On 02-02-08 Charlotte sent more evidence of the blessings God has given her in the form of photos and the story of Austin's latest achievements. I've talked so much about my little Austin and I have more to brag about. As I've said before, Austin shows miniature horses with the Greater Houston American Miniature Horse Association. 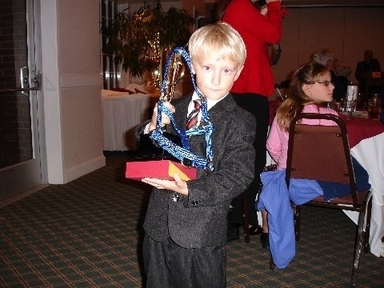 Very recently Austin was awarded with "Grand Champion" for the year 2007 in his class, “Youth 7 and Under”. He was the First Place high point winner for Showmanship and Obstacle Course, and overall High Point winner for the year. Here are pictures of him with all of his awards, 3 Blue Ribbon embroidered halters, a trophy, an engraved belt buckle bigger than he is, and a U.S. Savings Bond. We knew that he had won but hadn't told him, so when they uncovered the 4 trophies, he put his little hands behind his back and crossed his fingers. When they called his name, he popped out of his chair like a Jack-in-the-box. He said he was shaking he was so nervous when he saw the belt buckle. It was quite an evening. Please take the time now to make a comment in response to Charlotte's biography. You will also enjoy reading the comments that others have left. Then check out Charlotte's and Gladys' "Holiday Expressions Photo Album" (click here) and the "Bikers and Babes Photo Album" (click here). Oh, my, Charlotte. You are definitely a survivor. I've always heard the the Good Lord doesn't give you more than you can handle. It would seem He put many helpings on your plate. And it seems you've handled them all with grace and dignity. Your Austin is absolutely adorable. I just love it when kids have the passion for competition, and I love their excitement when they win. I read your posting regarding Zynda. You were right about her smile. She did have a radiant smile, and she seemed to be happy all the time. I was wondering ... didn't she have an older sister who also died young? Charlotte I really enjoyed your notes and can see why you are so proud of the grandson-what a little heartbreaker! Watch out girls... When you and Gladys are planning your wardrobe for the 50th, be sure to pack your biker-babe outfits, and I'll bring my Harley-y'all can be my "fender lizards" anytime. Wow, Charlotte! What a life. Imagine being sawed into and living to tell such a story. What an inspiration you are. I love how you always trust God and recognize how He turns tragedy into blessings for those who love Him. As I remember, you were always a very positive person. Charlotte, I really enjoyed reading about your life. It was sad, but turned out great. I also enjoyed the story about Austin, as he is my pride and joy. I'm very blessed to have him in my life, and I am so proud of him. Can't wait to come to Florida to see you and Mr. Earnest. He is a great man and I'm so glad you met. And Austin's making all his little remarks about you two. They were cute. You're looking amazing! What an incredible journey! Thrilled you're happy against all odds. OK, are you sitting down? Good idea if you're not! 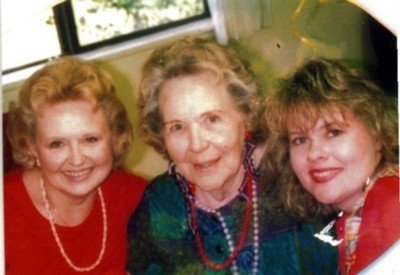 Remember Bobbie's Cousin Angela Casselberry? Any chance you'd want to be in touch with her?